Last week, Apple updated the software for its second-generation Apple TV to add streaming of purchased TV shows and support for the Vimeo video-sharing service. iTunes and the Apple TV nicely group TV shows into folders by show and season, making it easy to navigate through your series and then drill down to find the episode you want to play. With movies, it’s a different story, as iTunes—and an Apple TV connected to an iTunes library—just plops every movie down into the Movies area. If you don’t have a lot of movies, that’s not a big issue. But I currently have 492 movies, most of which are iPhone-shot videos of my twins that have been edited in iMovie and exported to iTunes in multiple formats (from 720p for the best quality down to a mobile version for syncing to my wife’s and my iPhones). As you might imagine, finding a particular video can be really difficult. In iTunes, the Search box narrows things down quickly, but on the Apple TV searching is more of a hassle than it’s worth. To make Apple TV navigation a little bit easier, I typically uncheck all but the HD version of my videos so they don’t show up when browsing. But that leaves a lot of scrolling down to find one of the many Elmo’s World videos I’ve purchased from the iTunes Store or ripped from my DVDs for the kids. Sure there are workarounds, such as changing the Media Kind setting in iTunes to TV Show for files and grouping like ones together with the same Artist/Show name, or even adding AA to the beginning of those files’ names so they float to the top. But what I’d like to see is a way to organize movies that helps make them easier to find. That could be as simple as letting me view and select iTunes playlists (regular and smart) via the Apple TV. When viewing music from iTunes libraries on you network, you can already see and select playlists that have music in them, so it’s not like the Apple TV is incapable of working with playlists. Or even allow me to create movie folders in iTunes that also show up on the Apple TV as well. In iTunes, you see all purchase and rental options for a movies. On the Apple TV, not so much. In adding streaming of previous purchased TV, the most-recent Apple TV software update also brought back a feature missing since the release of the second-gen Apple TV—the ability to purchase some content via the hard-drive-lacking device. Until last week, the TV Shows menu would only show those series and episodes available for rent from the iTunes Store, which meant you’d only see a tiny fraction of the store’s TV content. That made some sense, because without a hard drive, the Apple TV has no place to store a download. But now, the Apple TV lets you purchase shows and then stream them directly over the Internet (and later download them to computers and iOS devices). 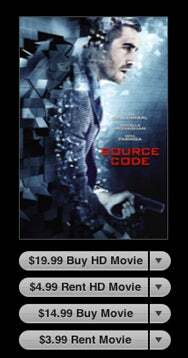 I’d like to see Apple extend that purchasing ability to movies as well. Right now there’s only a rental option displayed with movies on the Apple TV, and if you want to buy something you still have to do it via another device. Perhaps this is in the works already, but it’s on my list until that happens. In a similar vein to purchasing movies, I wish the Apple TV would let you stream movies you’ve purchased from the iTunes Store in the past, just as Apple now allows for TV shows. I could see potential licensing and/or bandwidth concerns with such a move, but it’s a logical next step after extending that courtesy to TV shows. By adding support for Netflix, MLB.TV, and NBA League Pass, Apple has already shown its willingness to include video subscription services that compete (directly or otherwise) with the company’s own iTunes Store. The recent addition of Vimeo was a welcome change, too. Why not continue the trend and make the Apple TV a little more like a Roku player, other set-top device, or connected Blu-ray player? Roku offers many more content sources than the Apple TV. Other sources already available from competing devices include Amazon Instant Video, Hulu Plus, and Vudu for video; Pandora, Radio, and Last.fm for music; and NHL GameCenter Live for sports. In other words, there’s a lot that you still can’t enjoy using the Apple TV right now. I understand Apple’s desire to give users a consistent user interface—which is why Netflix on the Apple TV looks like everything else on the Apple TV, and unlike Netflix on other devices—so I would expect a bit of work to get more of these offerings up and running. And yes, the Apple TV is a still a ‘hobby’ product compared with the Mac/iPod/iOS tripod on which Apple rests, but giving people more reasons to like the Apple TV (especially compared with competing devices) can’t be a bad thing.